The Sheepish pattern is now available for purchase! 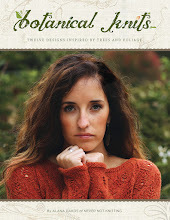 A sheep inspired sweater out of this really soft Organic Merino is something that just made sense to me. The yarn.. the buttons.. the concept just went together so perfectly and the finished result is exactly what I had in mind! Sheepish is worked in one piece from the bottom up. The pockets are knitted into the sweater and secured with stitching on the wrong side of the fabric. The little sheep motifs offer a great introduction to intarsia work. I think that this design is very versatile. 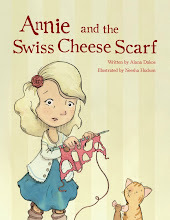 Unlike my other designs, its not specific to a little girl's wardrobe. 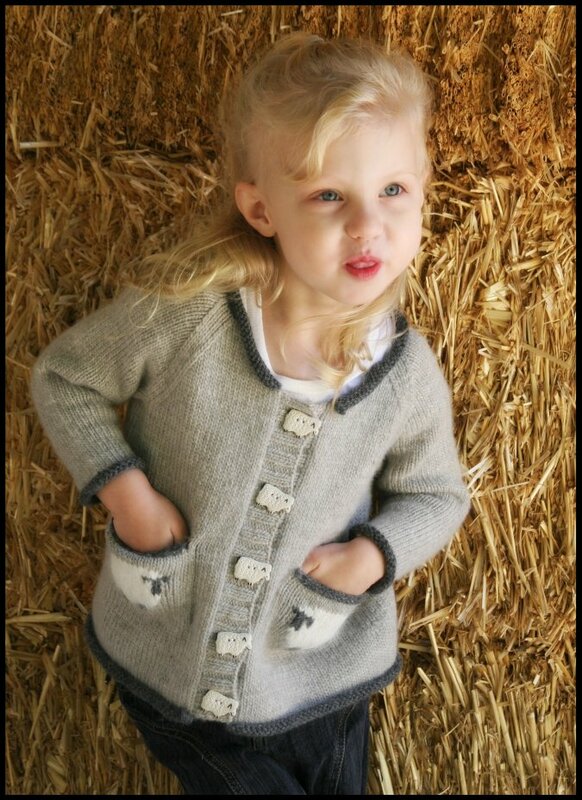 Sheepish can be worn by a boy as well! My daughter was very excited about this sweater design in particular. I think it was the pockets that really won her over. 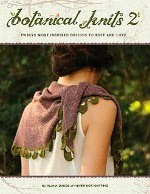 She was so very pleased to wear it, and there is nothing more rewarding than that for a mother and knitter. 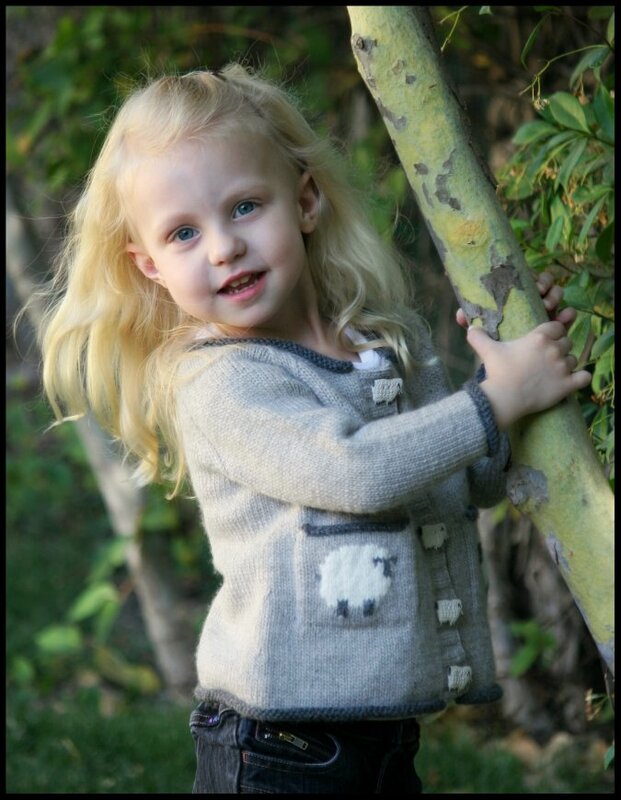 I'm sure the little one in your life would be happy to have their own sheep sweater as well! [MC] Sublime Organic Merino Wool dk [100% Organic Merino Wool; 113 yd/105m per 50g skein; color: #113; 4 [5, 5] skeins. Or 420 [460, 500] yards of dk weight wool or wool blend. [CC1] Cascade Yarns Lana D’Oro [50% Super Fine Alpaca, 50% Wool; 110 yd/101m per 50g skein; color: #1049; 1[1, 1] skein. Or 55 [55, 60] yards of light worsted weight alpaca or alpaca blend. [CC2] Cascade Yarns “Cloud 9” [50% Merino Wool, 50% Angora; 109 yd/100m per 50g skein; color: #101; 1[1, 1] skein. Or 20 yards of light worsted weight angora or angora blend. 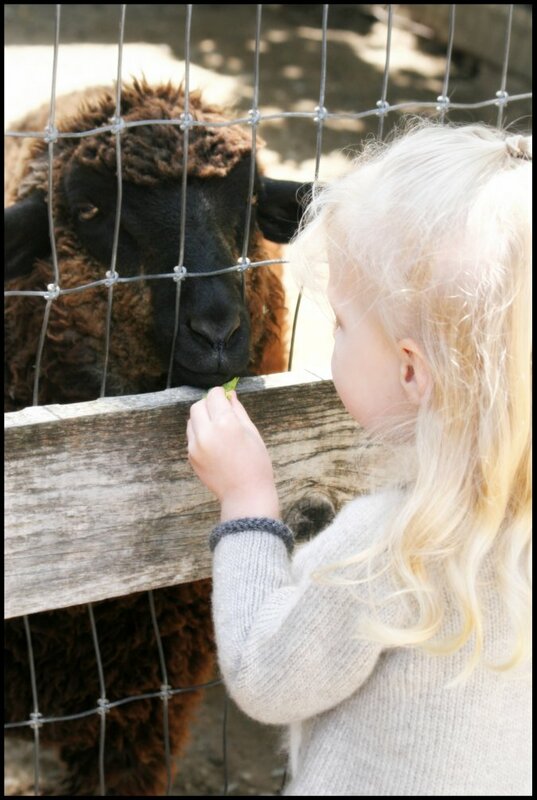 So of course I had to take my daughter to a local farm to feed some "real sheep" while wearing her new sheep sweater. 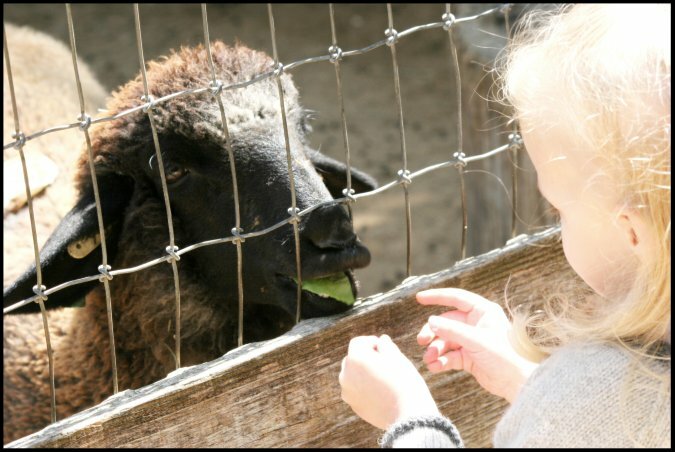 I think the sheep liked it. Lately... variegated yarns have not treated me kindly. 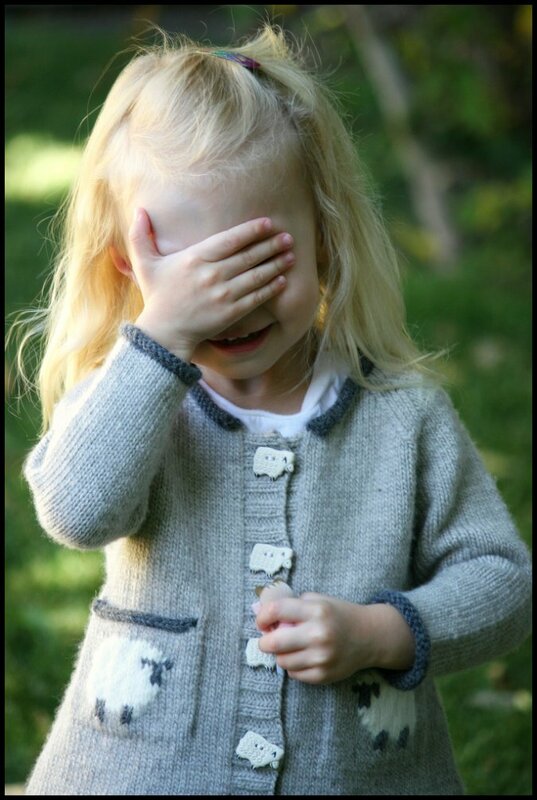 First there was the "Featherweight Cardigan Fiasco". 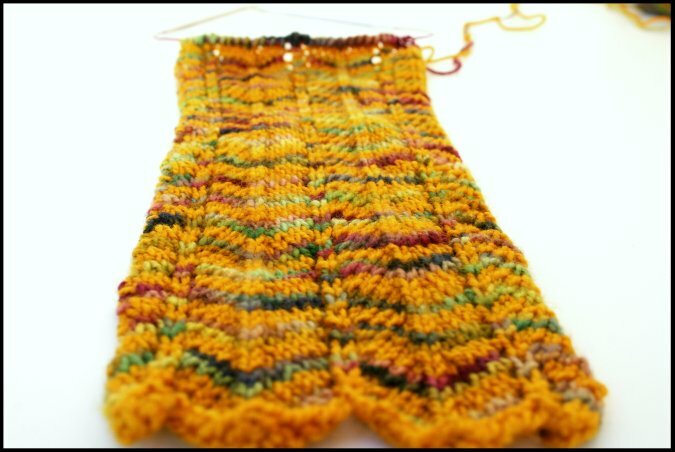 The variegated lace weight I chose for that project knitted up to be so ugly that a picture couldn't even be posted of it. But I had high hopes for this yarn. Lovely, lovely Koigu. And yes, one is variegated! But I wasn't worried. I had this all planned out. Chevron Scarf. I mean...with two luscious colors of Koigu, how could anything go wrong? Well my two Koigu beauties morphed into the ugliest scarf ever. I tried to like it. Really I did. Aahh.. it's really quite revolting isn't it? I think I'll stick with solid colors for awhile. I know that this doesn't look like much of anything yet, but this is my newest cast on. 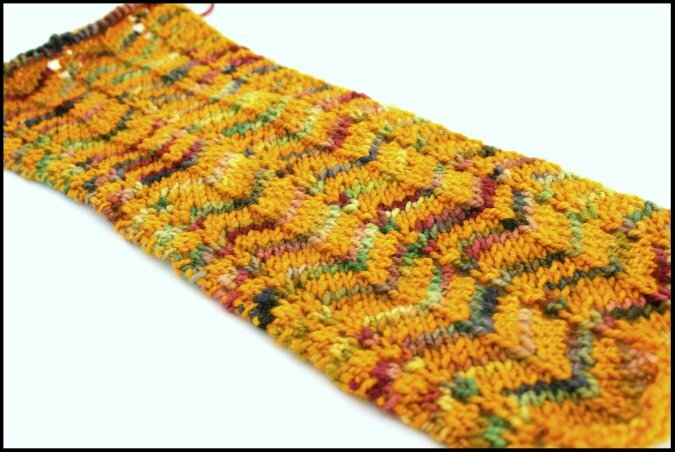 I've been wanting to knit this up for such a long time now, and I am certain that this one will turn out to be quite lovely. My new stripey design is now finished and available for purchase! 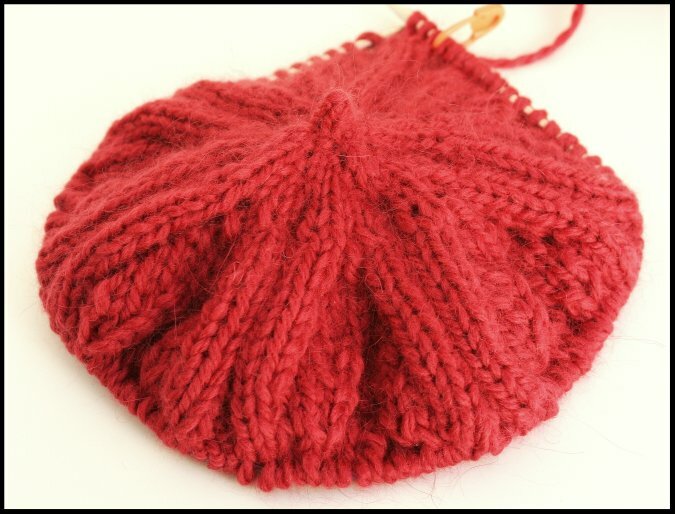 This is a super easy fun pattern that goes remarkably fast on the needles. It only took me a few days to complete! 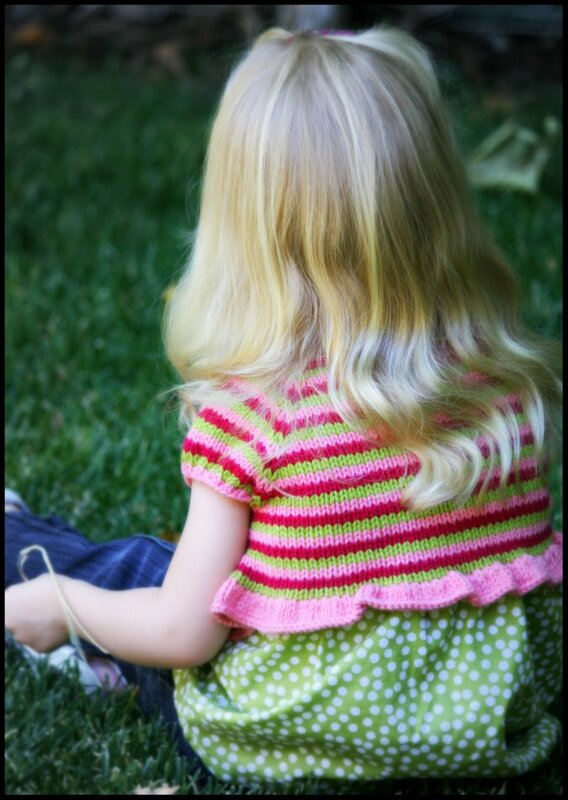 I highly recommend trying out the new Spud and Chloe yarn, but this sweater would also be a great pattern to use up partial skeins of worsted weight yarn that you might have lying around. Like all of my previous patterns, this sweater is worked in one piece with no seaming and very minimal finishing work. 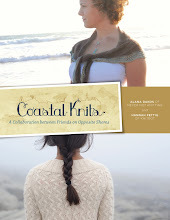 I really enjoyed knitting it and I know that you will too! 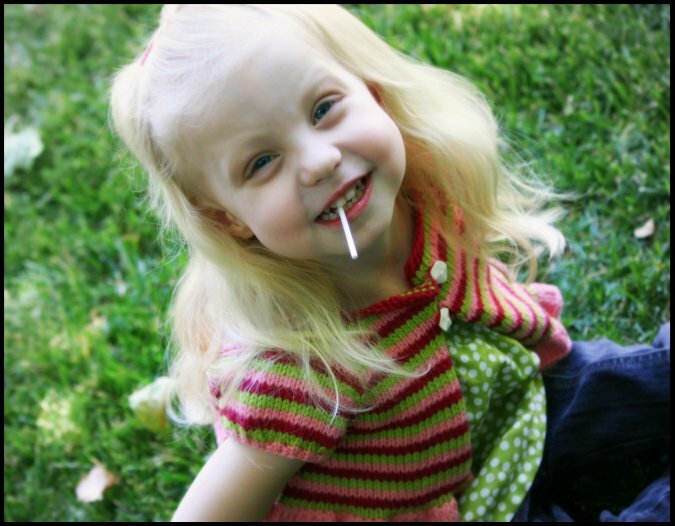 It's amazing how easy-going children are when there are lollipops involved! The sheep sweater is still being edited. So while waiting for it, I whipped up this cute stripey thing. 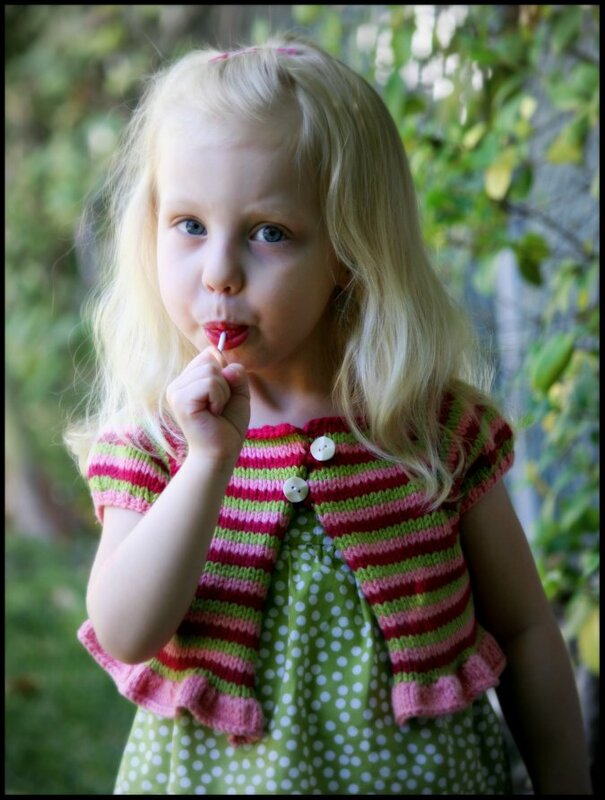 It is knit from the new Spud and Chloe Sweater yarn, which is awesome by the way. It's this great machine washable yarn that is 55% superwash wool and 45% organic cotton. I don't think I've run into a blend like this before! It feels great and most importantly it is really strong and sturdy. 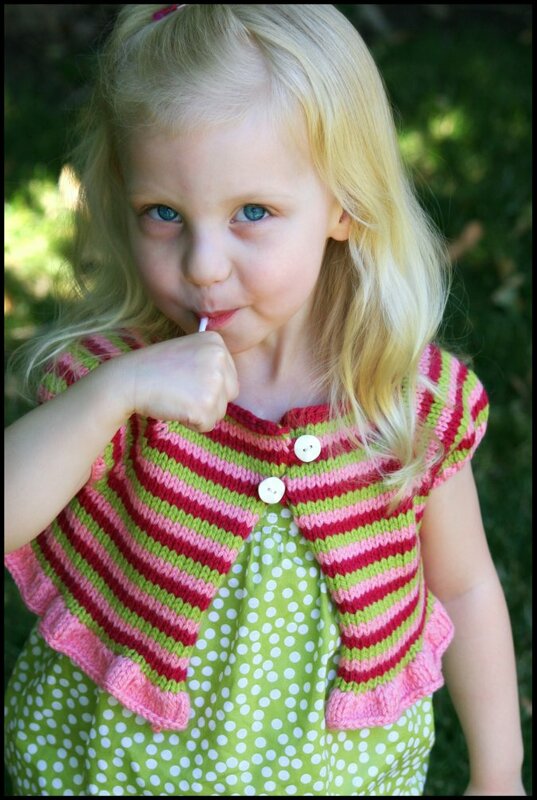 This paired with the fact that it can be machine washed and dried makes it so ideal for children's wear. Also it comes in the most fabulous fun colors. There was no way that I could pick just one. Solution? Stripes! 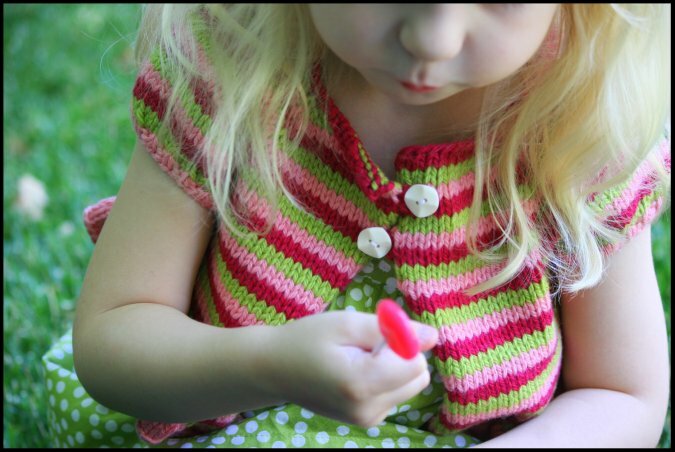 So thus this little stripey bolero was born. It's a super quick, top down knit on size 8 needles. It seriously took me like 3 seconds to make. OK.. so I'm exaggerating... It took me 7 seconds. It's not done yet, I still need to wash, block, sew in yarn ends and buttons. But there will be a pattern coming out shortly. 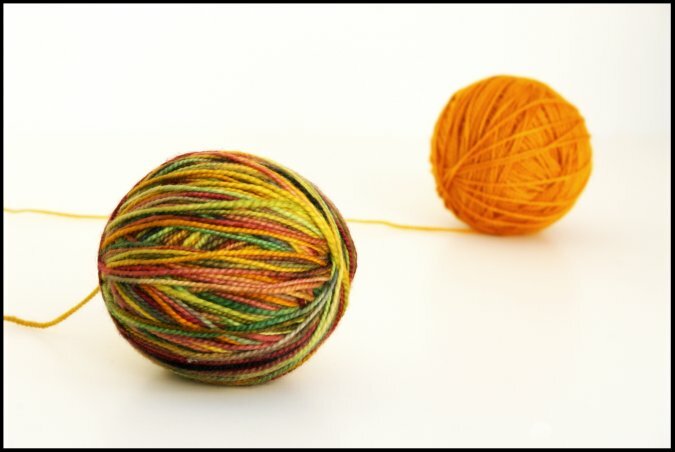 The Never Not Knitting Podcast : Episode 79 : The End of the Optimistic Knitter? © Alana Dakos/Never Not Knitting. Theme images by mammuth. Powered by Blogger.